Earlier this week I wrote about my own determination to start the new Spring season with some changes around the cottage, in preparation for brighter times and longer days. 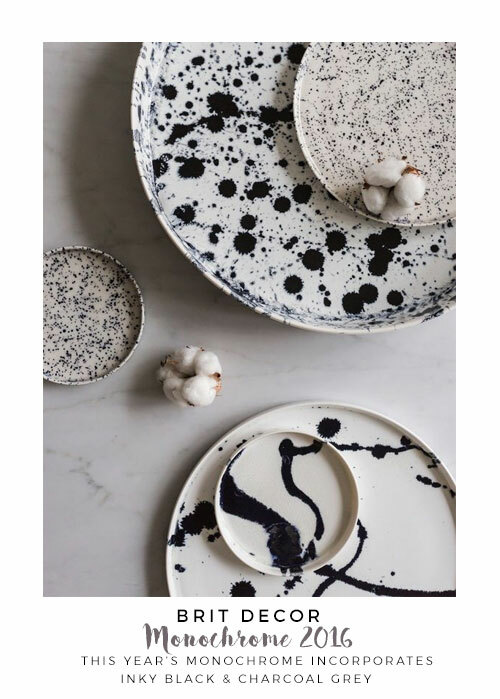 So today, as part of an exciting collaboration, I'm sharing some of my interior styling tips to help deliver knock-out style statements around the home. Delcor has been a beacon of British craftsmanship for nearly five decades. 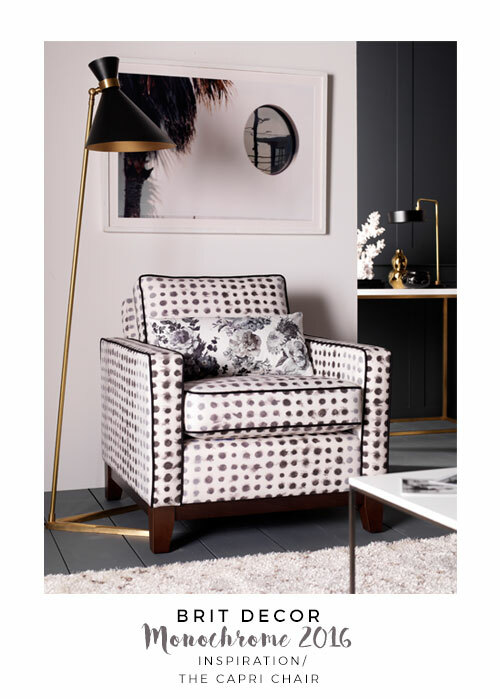 With a mind-blowing selection of over 10,000 fabrics to adorn their made-to-measure sofas and chairs, I am thrilled to be drawing upon some of their iconic pieces as styling inspiration. 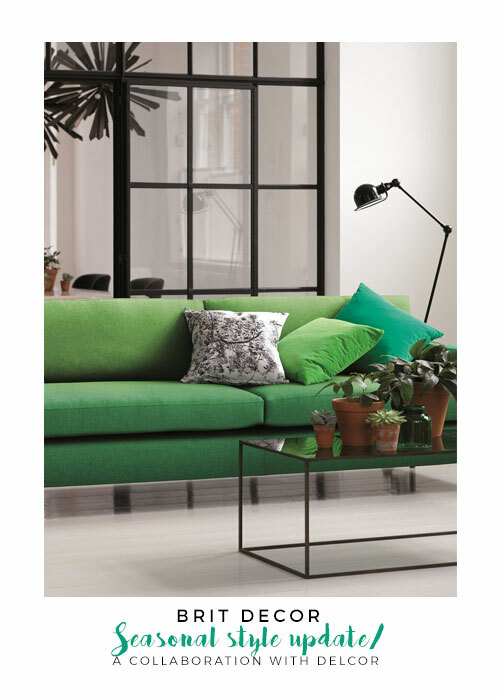 I've honed in on five key looks for the home (see 'below'), starting with an updated monochrome, fresh for 2016 with inky blacks and charcoal greys for a sophisticated twist on a classic style (see Delcor's Capri chair for inspiration). For me, it only takes one day of bright Spring sunshine for it all to be about 'Happy Hues'. 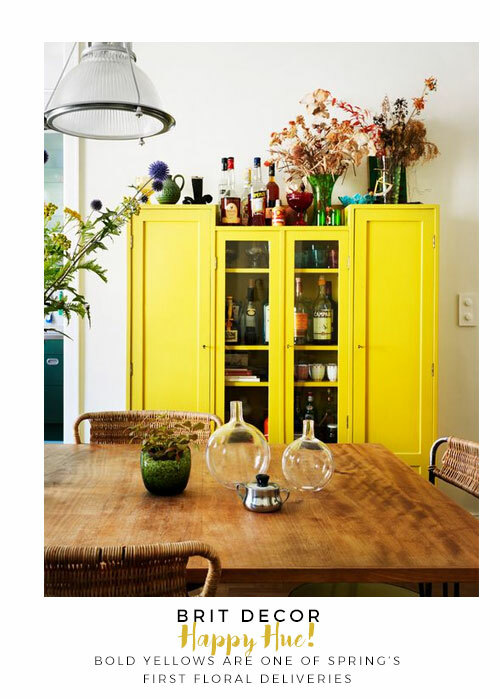 Here I have focussed on vibrant pops of yellow to bring the sunshine indoors, like the Chelsea sofa featured below. 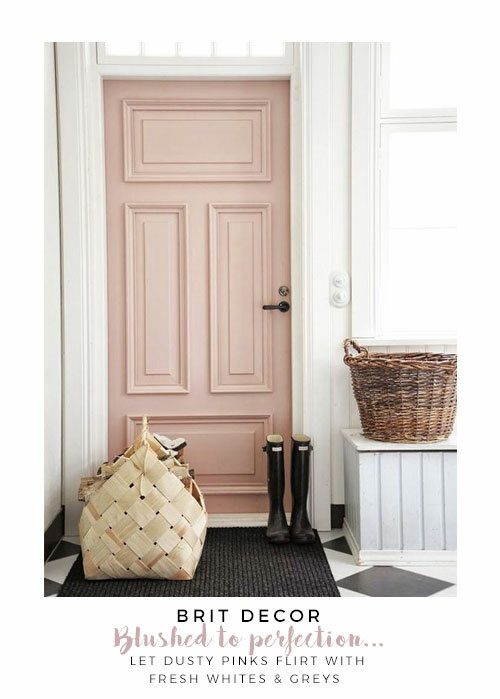 Pink isn't just for girls, 'Blushed to Perfection' is inspired by the Eaton sofa and highlights the complexity of this dusty pink colour, which gradually ebbs towards a more neutral palette when fused with greys. 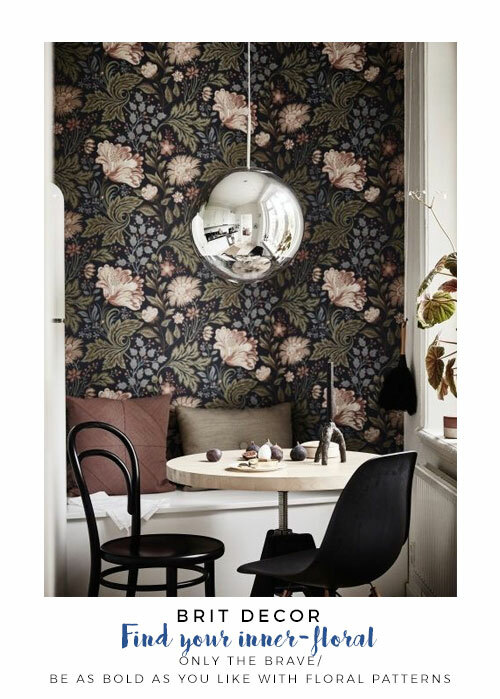 On a similar note, if you haven't already done so, now could be the perfect time to 'find your inner-floral' by indulging your living space with bold & beautiful floral prints and textiles - heighten the drama with corresponding accent colours. 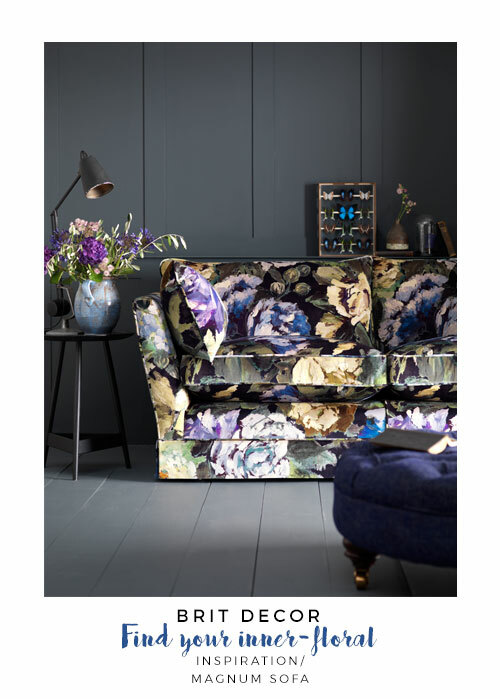 I've selected the Magnum sofa as my key 'get the look' piece. Foliage is 'fierce' right now - are you feeling it? 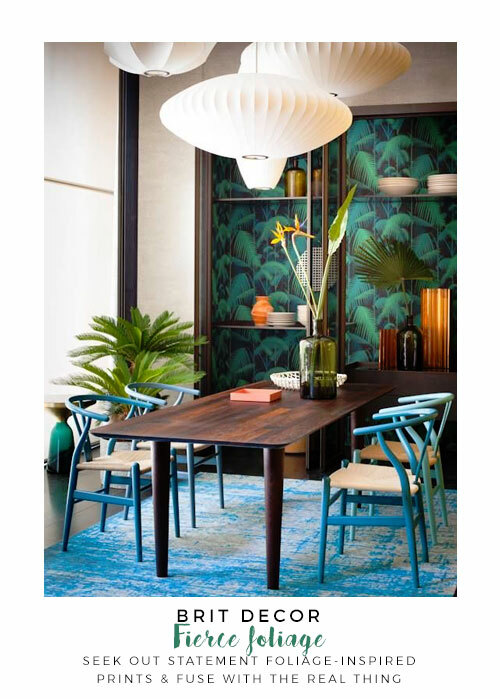 With houseplants gracing many a stylish abode, peppering the 'real deal' in amongst intense foliage-inspired wallpapers and prints can create a highly graphic and intense scheme. 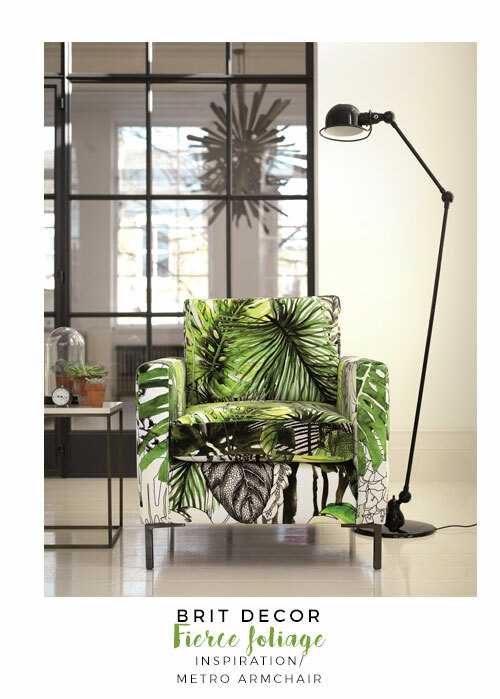 I am completely swooning for the Metro armchair featured 'below'!